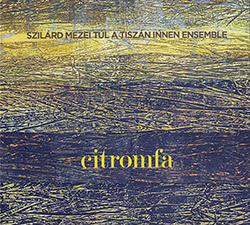 Violist Szilard Mezei's Serbian jazz-folk group Tul a Tiszan Innen Ensemble is a twelve-piece band that functions as a small orchestra playing a range of complex to spacious compositions and arrangements from Mezei, using themes from Hungarian folk songs from Vojvodina to create expansive compositions over which the adept members of his ensemble improvise. 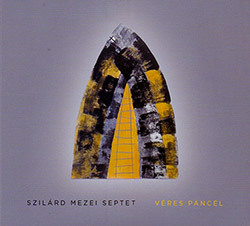 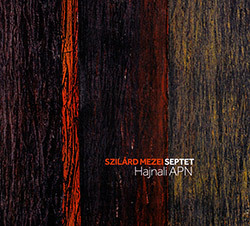 Serbian violinist and composer Szilard Mezei's septet in a recording for KCNS Novi Sad from 2015, three tracks of contemporarily orchestrated free improvisation performing three extended Mezei compositions, sophisticated works with effortlessly elaborate structures affording his septet opportunity in group interplay and well-developed soloing, a great achievement. 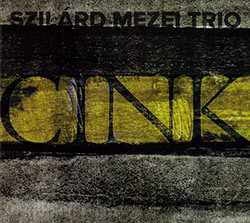 Blending Serbian ethnic flavors, rich experience in both improvised and compositional/symphonic music, with inventive and creative free improvisation, viola player Szilard Mezei's leads his trio with double bassist Ervin Malina and drummer Istvan Csik through seven original compositions, two of which were captured live in performance in Novi Sad.